“It’s not credible for the NRA to claim that they played no official role in the 2015 Moscow trip,” Sen. Wyden told ABC News on Tuesday. 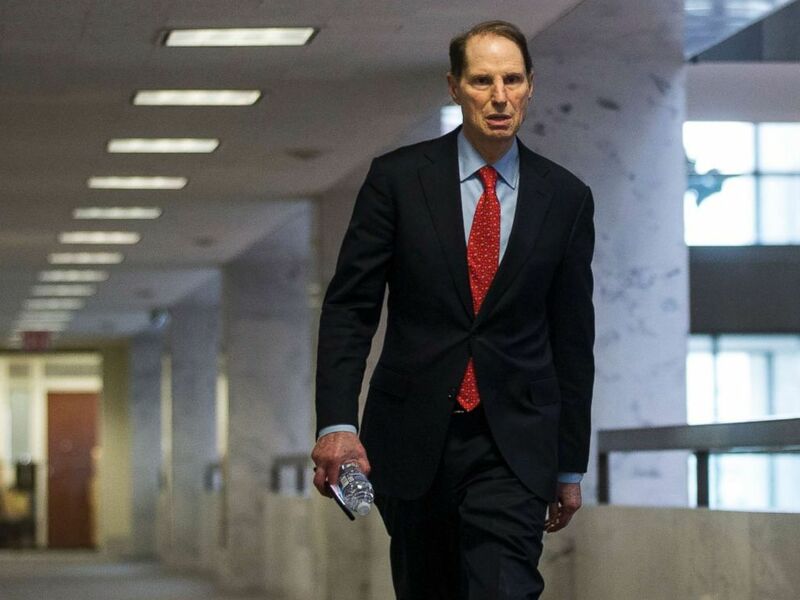 Sen. Ron Wyden walks to a closed briefing on intelligence matters on Capitol Hill on Dec, 4, 2018 in Washington. Photos posted on Facebook by one of Butina’s fellow gun-rights enthusiasts and obtained by ABC News show Butina and members of the NRA delegation in Moscow, posing alongside a large red sign that reads “Welcome to Russia comrads [sic].” It bears the NRA logo in its bottom-right corner. 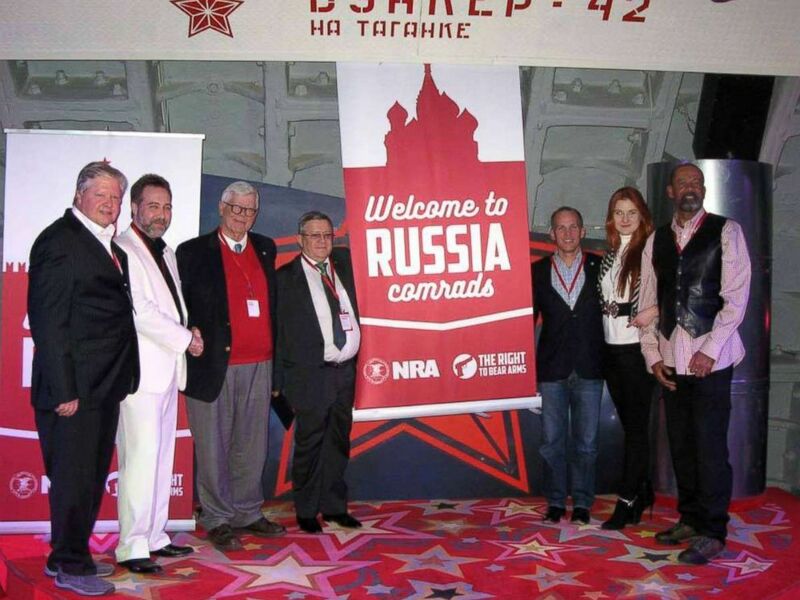 In a December 2015 Facebook post, a Russian gun-rights enthusiast praised "the American approach to regulating weapons" and shared a photo showing high-ranking NRA members posing alongside Alexander Torshin, 4th-L, and Maria Butina, 2nd-R.
Another Facebook post – this one from one of Butina’s colleagues – about the trip even tags Butina, Clarke and Liberatore, though it offers a version of events that now conflicts with the NRA’s public stance. Wyden declined to discuss the specific information his office has obtained to date but pledged to continue his probe, citing what he characterized as the NRA’s changing positions on Russia-related matters. NRA outside counsel Brewer pointed ABC News to the statement issued to the Times, which highlighted LaPierre’s concern back in 2015 that the group traveling to Moscow "not be viewed as representing the NRA." “When he became aware of the details of the trip, Wayne was personally opposed to it," Brewer told ABC News through a spokesman. The spokesman also noted that the group’s president at the time, Allan Cors, opted not to attend at LaPierre’s suggestion, and the NRA declined to send staff to Moscow with the group, as they had typically done on officially sponsored travel. 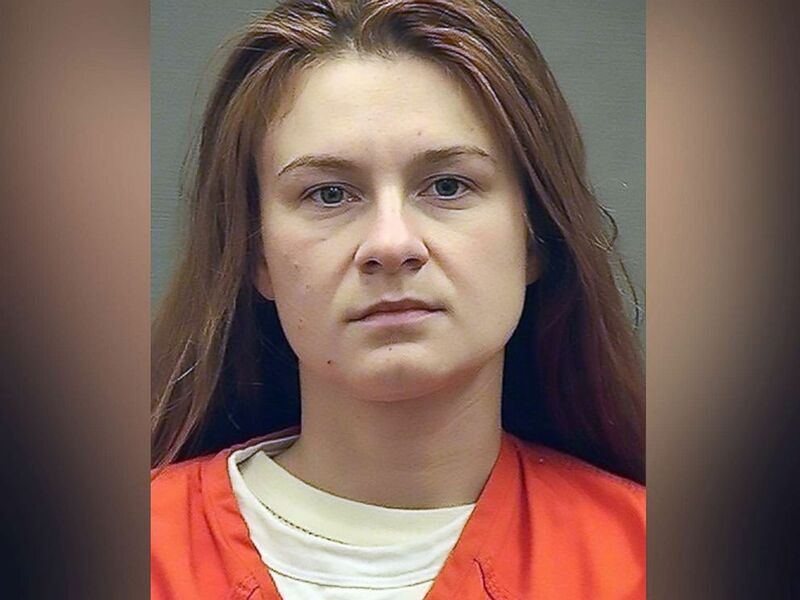 An attorney for Butina, who is in jail as she continues to cooperate with investigators under the terms of her plea agreement, declined to comment. This August 17, 2018, photo courtesy of the Alexandria, Va. Sheriffs Office, shows Maria Butina's booking photograph when she was admitted into the Alexandria Detention Center. The American delegation met with Butina and the man described by U.S. officials as her Russian handler, Alexander Torshin, a wealthy politician who at the time was Deputy Governor of the Russian Central Bank. Torshin was among those sanctioned by the U.S. Treasury in 2018. They met with Dmitry Rogozin, then-Russian Deputy Prime Minister who was sanctioned by the U.S. Treasury in 2014. Emails also show Butina was eager to add Russian Foreign Minister Sergey Lavrov, a powerful member of Putin’s inner circle, to their itinerary, and one of the trip’s attendees confirmed via social media the meeting took place. The trip has come under increased scrutiny as Butina’s efforts to infiltrate the NRA as part of a covert influence operation in the United States have come to light in court filings by U.S. prosecutors. The NRA attorneys and press officers have declined for months to respond to requests from ABC News to answer questions about the trip. 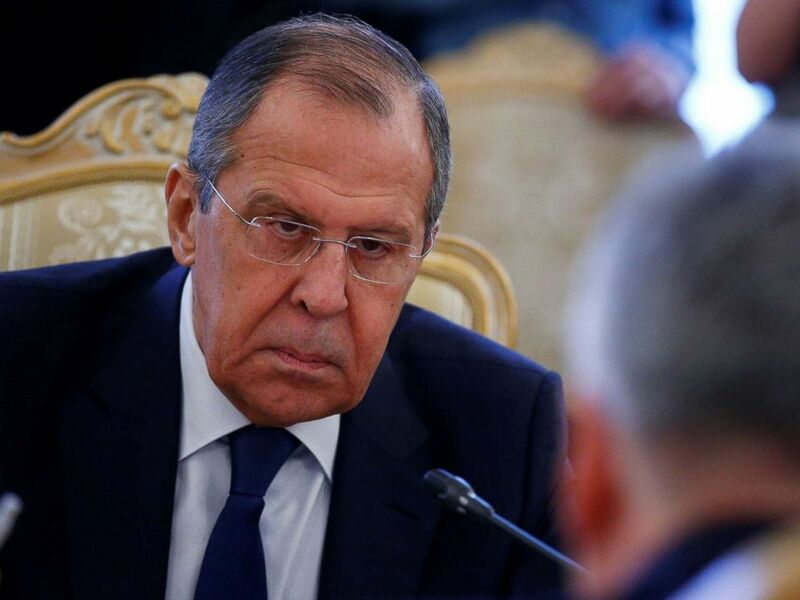 Russian Foreign Minister Sergey Lavrov attends a meeting in Moscow, Jan. 28, 2019. Internal emails show that an NRA employee, Nicholas Perrine, worked directly with Butina to coordinate travel arrangements for the trip’s attendees. A 2016 wedding announcement in Politico identified Perrine as a special assistant to the president of the NRA. “What arrangements for meetings are being made for the gentleman from the Outdoor Channel who would be joining the NRA group in Russia?” Perrine wrote to Butina from an NRA email account on Oct. 10, 2015. A few days later, Perrine asked Butina for guidance on how to handle their visa applications, in which he suggests the NRA will be covering travel expenses for its former president Keene and the current president Cors, who had initially considered attending but later declined. Keene's wife said in an email at the time that Cors and his wife "have to cancel for health reasons." The following month, Keene’s wife Donna Wiesner, who also assisted in organizing the trip, assured Butina that the NRA would be providing the delegation with “formal” gifts for their hosts so as not to run afoul of Russian customs. ABC News’ Trish Turner, Patrick Reevell, Halley Frager and Jinsol Jung contributed to this report.